Preheat oven to 200C. Grease a 7″ round cake tin with vegetable oil, and line the bottom with parchment paper/baking paper. In a bowl, mix flour and cocoa powder, keep aside. In another bowl, whisk the yogurt until smooth. Now add sugar into it, mix well. Next to add the baking powder, baking soda, coffee mixture and vanilla extract. Mix well and let it rest , within a couple of minutes bubbles start to appear on the top surface. Now add the oil, whisk again. Mix in the cocoa-flour mix and whisk well until no trace of flour is left. Pour the batter into the prepared tin. 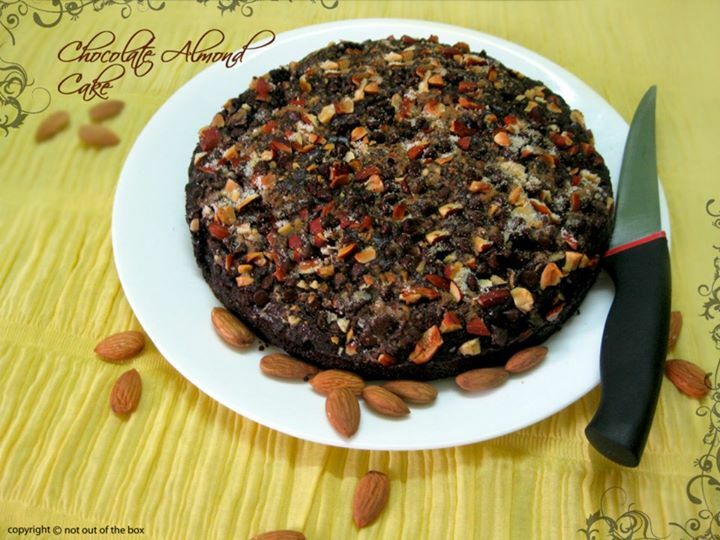 Sprinkle chopped almonds, chocolate chips and sugar on top. Bake at 200C for 10 minutes, then reduce the temperature to 170C and bake further for 16 minutes or until a toothpick/knife inserted in the center comes out clean. Cool the cake in the tin for 5 minutes and then turn onto a cooling rack and leave there until completely cooled. 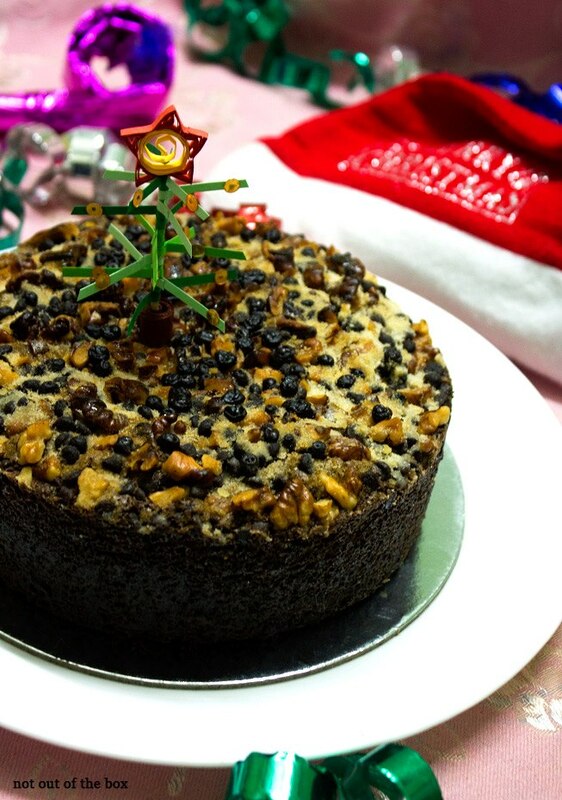 Last year Christmas I baked this cake with Walnuts, below is what it was looked like. Do u think the almonds sprinkled on the top will get even more brown when we put in the cake to cook in the oven..?